Smoky Row is celebrating 34 years of providing high quality child care to Powell area families! A Very Happy Holidays To You! Happy holidays to all of our wonderful friends, families, students and staff! Wishing all of our families a happy holiday season! Please remember that time, patience and love are the very best gifts to both give and receive. Our Toddler Room is doing a book focus on The Very Hungry Caterpillar. This is the special lunch they made. The Toddlers loved it and ate so much! Continuity of teachers is certainly a contributing factor in maintaining good quality early childhood programs. With this in mind, I am proud to share that the following FIVE teachers were recognized for their loyalty and awarded special gifts at our March staff meeting. Congratulations to Emily (Kindergarten and Part time Preschool) who attended SRCC as a child and to Megan (Toddler Room) as they were both recognized for THREE YEARS of teaching at Smoky Row. Ashley (Butterfly) and Denise (Tree House Club) were recognized for FIVE YEARS. 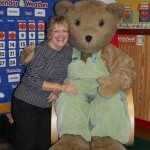 Bethann (Part time Preschool and Kindergarten) celebrates TWENTY YEARS! Just consider her remarkable dedication, professionalism and yes; stamina to do what she does each day. These wonderful professionals are so valuable to us and they are a major factor in our success in living up to our goals of high quality care and education. THANK YOU all for your loyalty to our Center. 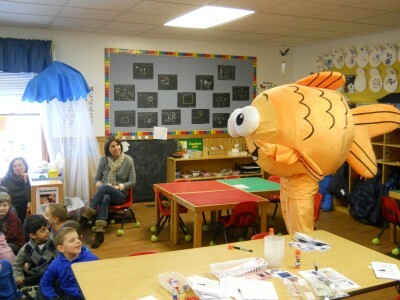 We had a fun visit from Goldfish Swim School learning about water safety. Look them up if you are looking for developmentally appropriate swim lessons. Registration is now open for our Part-Time Preschool Program. Please call 614-766-2122 to set up a tour. Wishing you the happiest of holidays from our Smoky Row family to yours! A big thank you to all of our families who participated in our book fair! 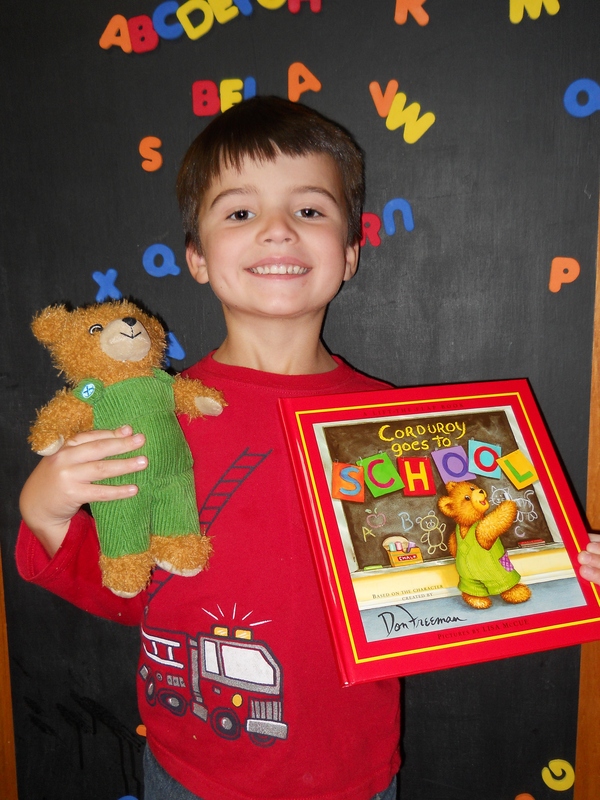 Congratulations to Gabriel who guessed the number of buttons and won a stuffed Corduroy and book!! Our summer camp program raised money through our art project raffle. We donated $70.00 to the FEEDdelaware Ministry. Each dollar donated will buy $7.00 worth of food from the Mid-Ohio Food Bank. Our donation will provide food for about 50 families! To learn more about this organization please go to helpfeeddelaware.org. As graduation approaches and my husband and I reminisce about the past 18 years, Smoky Row, your wonderful children’s center, always comes up. It provided the most wonderful peace of mind for us and was such a great start for our girls. We always feel so blessed that we were lucky enough to get twins into the infant room and be a part of the Smoky Row family. Both girls got tons of scholarships (they say the first five years count the most in terms of education :)) and will be attending Notre Dame and the University of Cincinnati. We are so happy to welcome back so many of our school age friends! It is like a family reunion when students return to Smoky Row at the end of the school year. We have lots of fun activities and field trips planned. We love summer at Smoky Row! 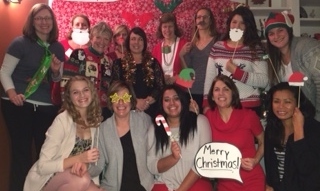 Smoky Row Teachers are the Best! Help us celebrate some of our fabulous teachers! Missy has been teaching at Smoky Row for 20 years! 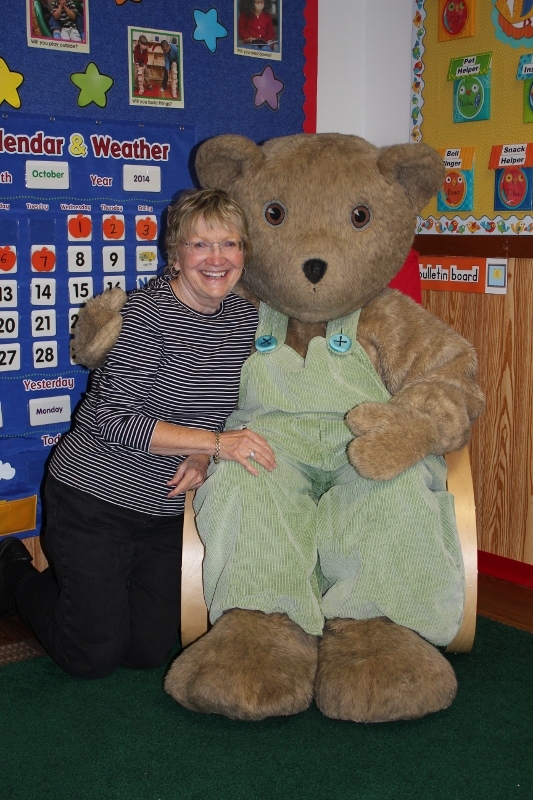 Bobbie has been teaching at Smoky Row for 21 years! Marsha, Sue and Kim have each been teaching at Smoky Row for 23 years! Jola has been teaching at Smoky Row for 24 years!!! Such dedication is very impressive! We love our teachers!! The Infant Room collected two large boxes of food for the Worthington Food Pantry. The Toddlers and Super Stars collected over 50 pairs of pajamas and sent them to Scholastic Books who donated a book for every pair and distributed them to children in need. The Monkey Room, Butterfly Room and Teddy Bear Room donated items to needy families through Westerville Caring and Sharing. The Butterfly and Teddy Bear Families also collected over 200 canned goods for Smoky Row Brethren Church. The Tree House Club worked with Amethyst Women’s Home to donate 35 gifts and gift cards for women and children in need. The Sunshine and Rainbow Rooms collected over 200 stuffed animals to donate to Riverside Methodist Hospital’s Emergency Room. Camp K adopted a family at Linden STEM Academy and visited the pre-k class to participate in activities and donate a book to each child in the class. A big thank you to all who participated! Be thankful for the wonderful children in your life! 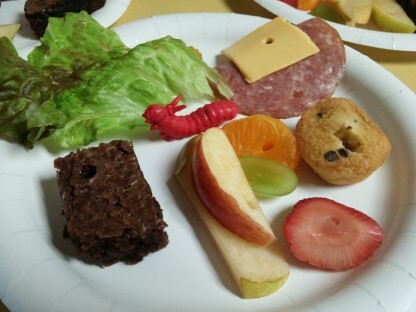 Check out the fun special lunch that was served in the Teddy Bear Room! 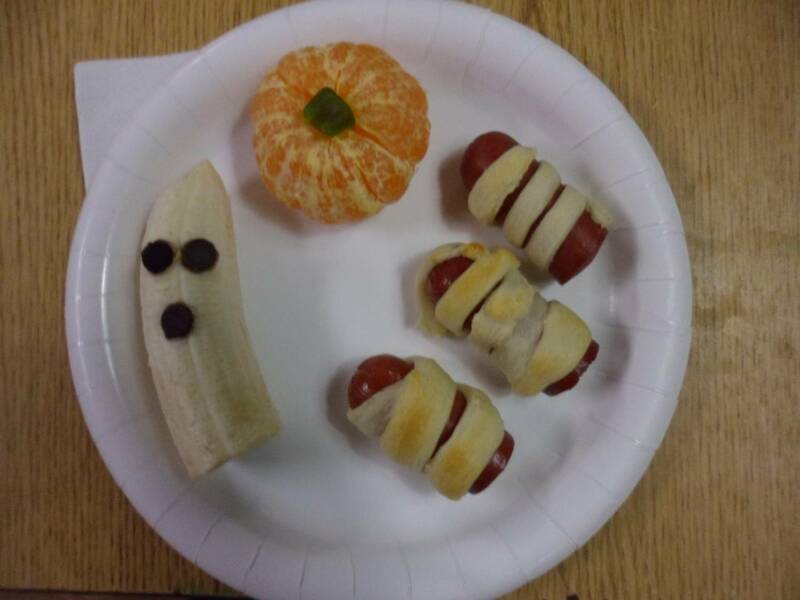 Yummy and spooky!! Families in our full-day program please plan on joining us at Highbanks Northern Shelter on Wednesday, September 25 at 6:30. Information and sign up sheets are outside each classroom. It is always a fun time. We hope to see you there! Smoky Row is mentoring six student teachers this fall! Four from Ohio State and two from Columbus State. We are so proud of our center and so happy to share our expertise and professionalism with future teachers. After three weeks of fall session our classes are all going so well! 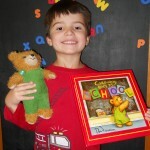 We have so many busy children with smiling faces. All of our teachers’ hard work has helped to ensure smooth transitions for our new children. Welcome to all of our new families. We are so happy that you have joined our Smoky Row family! This week is Teacher Appreciation Week! We’d like to thank each and every one of our former and current teachers for being the wonderful people they are and helping children grow every day! The Center is lucky to have people as great as you! Visit Us at the Columbus Zoo! Join us at the Columbus Zoo for Eggs, Paws, and Claws! Smoky Row will have a table set up in the Asia Quest building on Friday from 5-8 pm and all day Saturday. We’ll have candy and you can check out our new brochure. Hope you can make it! Our fall part-time preschool is now enrolling! Please call for more info or fill out a form conveniently located on our website. Just click the purple “Enroll Now” at the top of any page of our site to go straight to the application! Smoky Row is in the News! Smoky Row made the news! Check out this article in ThisWeek about celebrating our 30th anniversary. They had some great things to say about us! This month we celebrate the opening of Smoky Row Children’s Center 30 years ago. January of 1983 was when Smoky Row first opened its doors. We’d like to thank all staff, parents, and students who have been part of our journey into the center we are today. Thank you for thirty wonderful years! All parents are welcome and we hope to see you there! All of us at Smoky Row would like to wish you a very happy and safe holiday!